Artwork by artist Roy Thurston of Chimento Contemporary Gallery. I recently visited the Houston Art Fair (and Houston for the first time!) where I had the opportunity to spend an entire weekend enjoying original fine art. 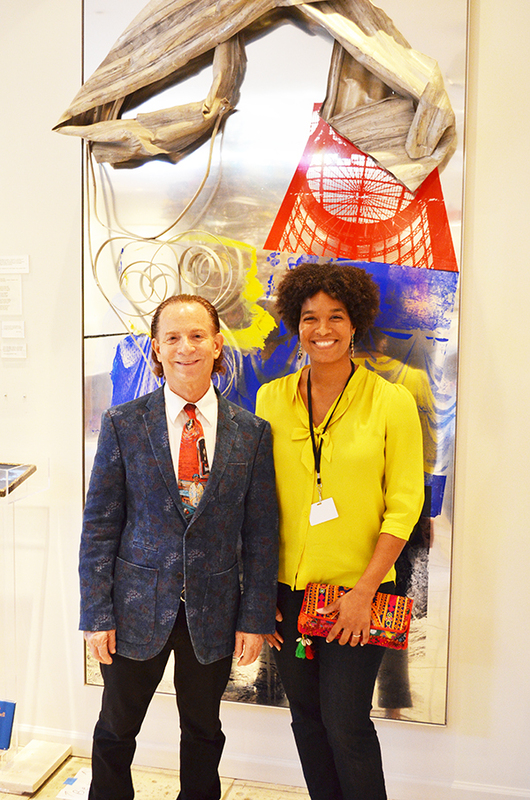 I served as the Houston Art Fair’s VIP representative which meant that I attended the fair’s VIP private art tours, taking place at the homes of select art collectors across the city. 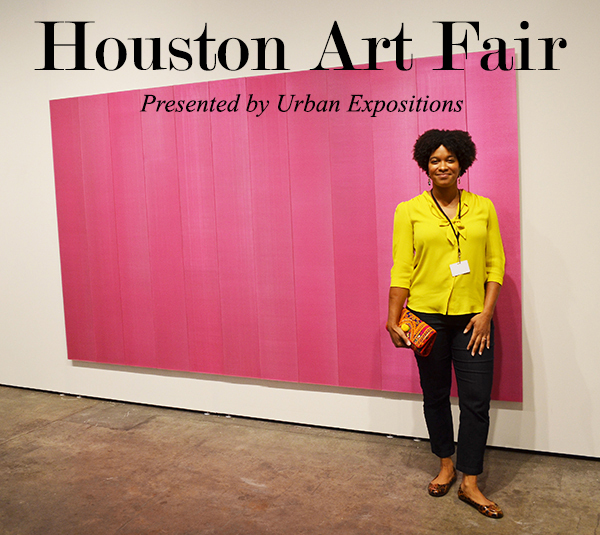 After my exciting weekend I highly recommend attending the Houston Art Fair, and of course any local art fairs that you have the opportunity to visit. I am pleased to share with you the highlights from my recent Houston Art Fair experience, which I must say was fantastic. This old house with the hazy purple sky was one of my favorite paintings of the weekend. 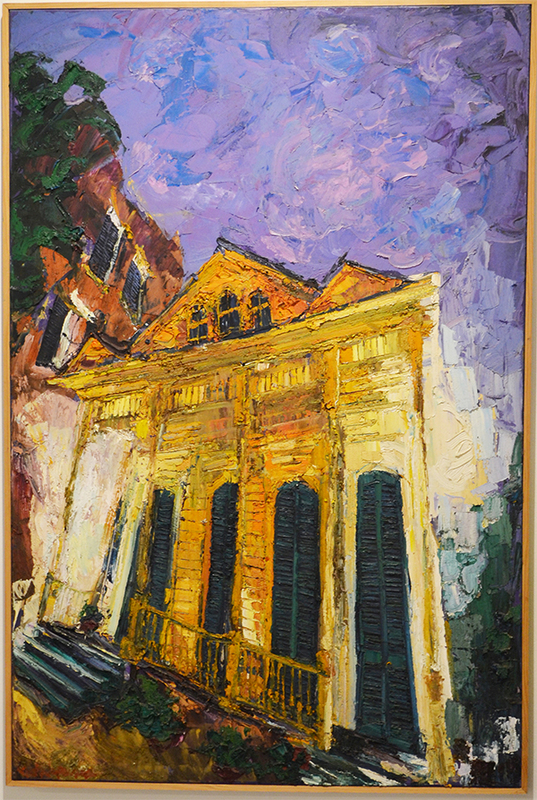 The artist, James Michalopolous, is know for painting representations of historic New Orleans homes in vibrant color palettes. Ornate bamboo sculptures from a range of Japanese artists, Tai Modern. 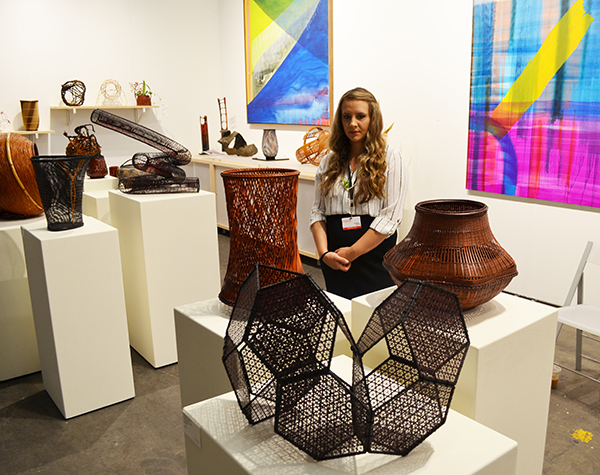 I was really impressed by the Japanese bamboo art, featuring highly detailed baskets and sculptures made of bamboo while attending the Houston Art Fair. The Tai Modern Art Gallery curated this collection of bamboo works from a range of highly trained Japanese artists. I’ve seen this style of bamboo art at other museums and it’s hard to believe that this intricate style of basket is created in much larger sizes, as well. Painting by Roseta Santiago of Blue Rain Gallery. 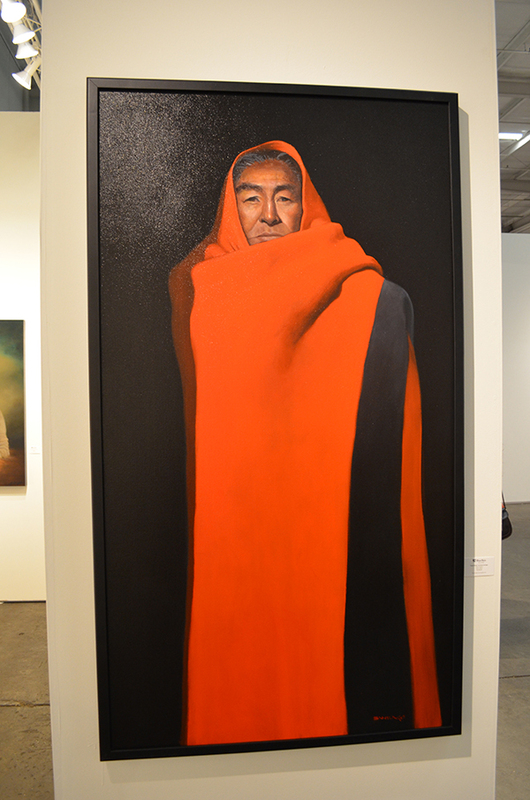 Another stunning work was this piece from artist Roseta Santiago who paints on Native American themes with photo-quality figurative work. The Blue Rain Gallery booth was filled with Native American artistic treasures from paintings like the one shown above to ceramic works and more. 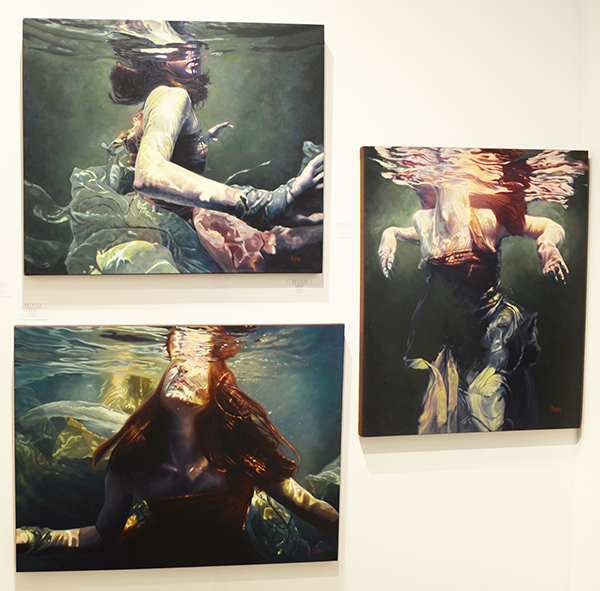 Paintings by Mark Heine, “Sirens” collection. Peninsula Art Gallery. 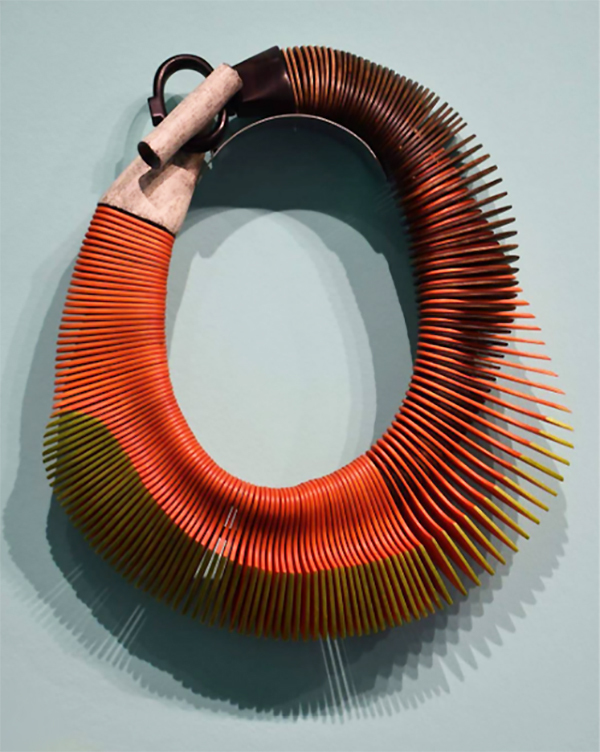 Contemporary art jewelry design by Annemieke Broenink. Contemporary art jewelry design by Liv Blavarp, made of wood, Charon Kranson Arts. 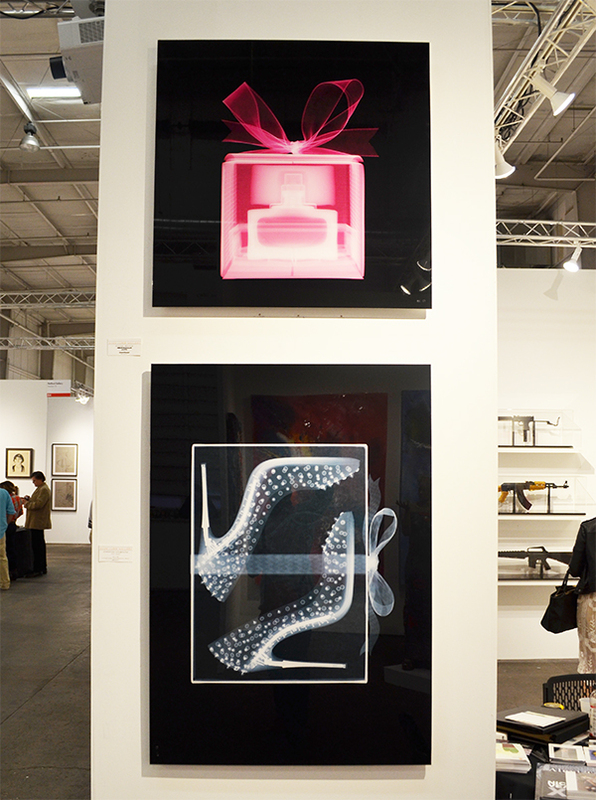 This art fair made sure there was something for everyone from comic book artwork that my husband loved, to sculptural jewelry, and more feminine artwork like the Christian Louboutin shoe piece shown below. 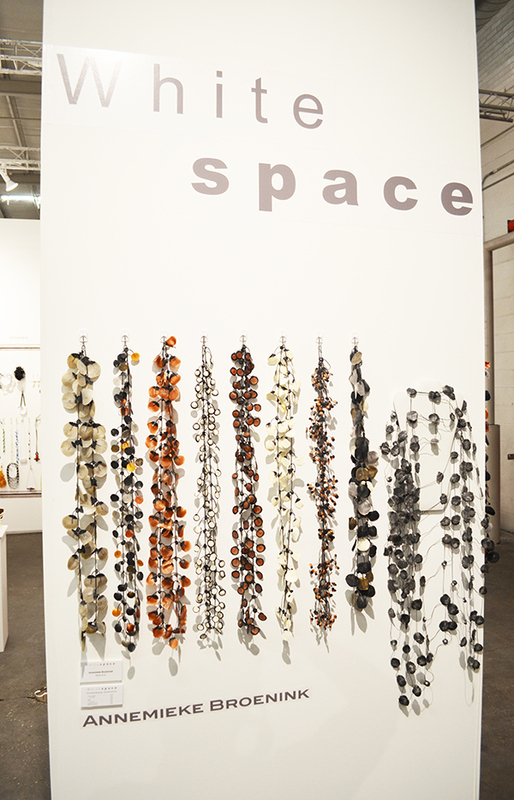 I really enjoyed the jewelry designs of Annemeike Broenink and Liv Blavarp while at the art fair (shown above). I love the idea of jewelry that’s like a mini-sculpture for your neck. These are these just the type of jewelry designs I look forward to adding to my collection. I was also pleased to see that there were more than one contemporary fine art jewelry designer represented at the Houston Art Fair, in addition to other non-traditional art mediums. X-ray style artwork by Nick Veasey, ‘Christian Louboutin’, Evan Lurie Gallery. Myself with artist Chong-Ok Lee Matthews, Korean landscape painter. Attending the Houston Art Fair had the added benefit of meeting amazing artists in person. 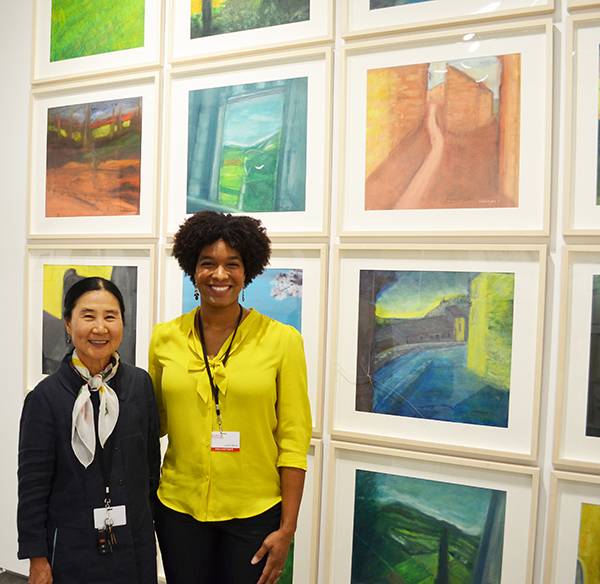 I really enjoyed meeting artist Chong-Ok Matthews whose paintings captured my attention because of their serene color palette. I’m photographed above in front of Chong-OK’s gallery wall of soothing landscape paintings. I am looking forward to seeing more of this artists’ work and featuring her on the blog in the near future. 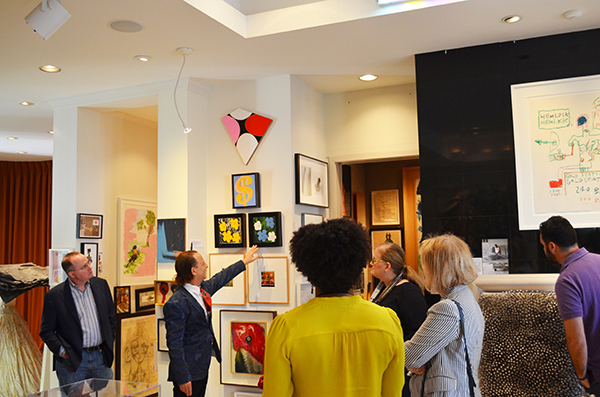 One of the most exciting parts of working for the Houston Art Fair was attending the exclusive VIP events. 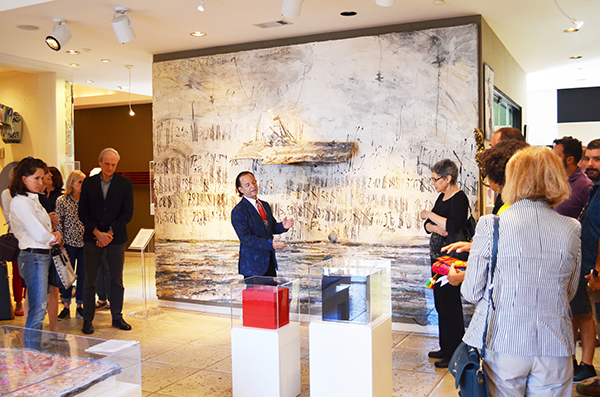 I had the honor of serving as the Houston Art Fair’s VIP Representative at two unforgettable art tours of private home collections. I have included some photos from my visit to the home of Lester Marks, a renowned art collector who has been featured internationally. Lester showing us his collection of Andy Warhol paintings. Walking through Lester’s home was quite the experience. Each room is filled with one-of-a-kind art installations transforming the home into a delightful creative habitat. Lester has been collecting artwork for over 20 years and continues to acquire more unique pieces like the ones shown here. Lester’s kitchen design was accented with a net made of Barbies hanging from the ceiling! 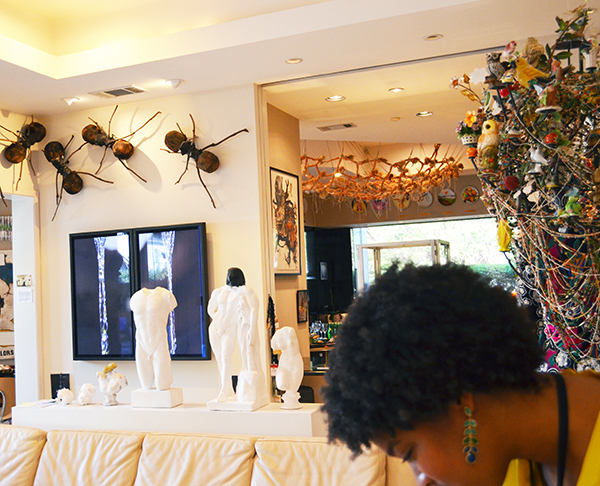 I rounded out my weekend with the Houston Art Fair by viewing the work of one of my favorite artists, Nick Cave, right in the middle of Lester’s living room! You can only imagine my surprise to round the corner of him home and see a full sized Nick Cave “Sound Suit”. If you haven’t heard about Nick Cave’s Sound Suits, they are quite spectacular and imaginative. 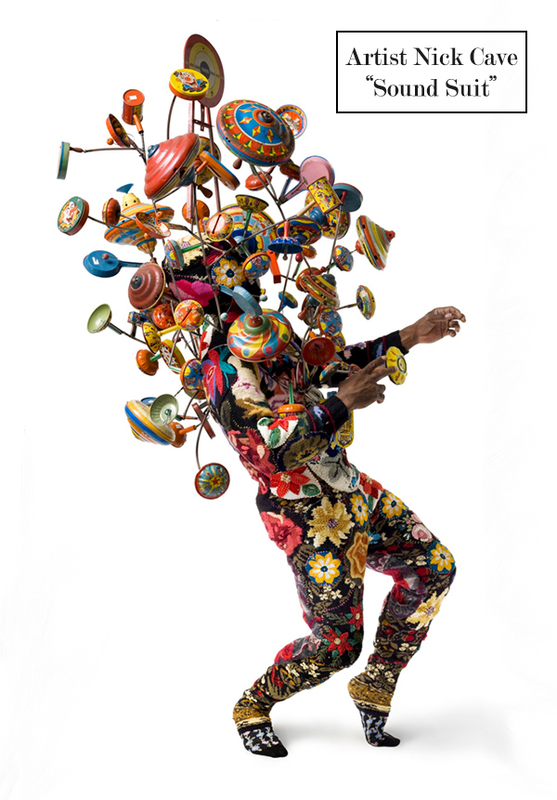 Nick Cave’s Sound Suits can be worn and moved in as performance art or displayed as a sculptural piece. Getting a photo in front of one of Nick Cave’s Sound Suits was definitely a highlight for me. I must thank Lester for welcoming us into his home and inviting us into his amazing world of fine art. These are the kind of experiences that invigorate my passion for fine art. Artist Nick Cave known for his “Sound Suits”. Nick Cave was also just featured on PBS’ Art in the 21st Century series. The Chicago episode featuring Nick Cave is definitely worth watching. Any art lover will love this new PBS series! 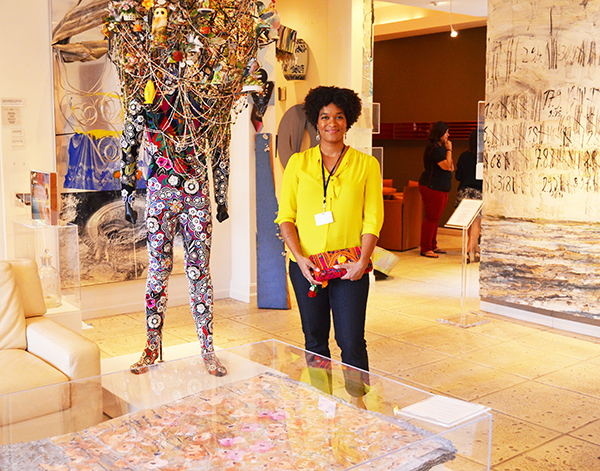 Myself in front of Nick Cave’s ‘Sound Suit’ at the home of collector Lester Marks. I had a great time joining the Urban Expositions team for the weekend. The Houston Art Fair was full of surprises and definitely worth the trip. If you didn’t have the opportunity to visit the Houston Art Fair this year, I recommend stopping by next year or in the future. 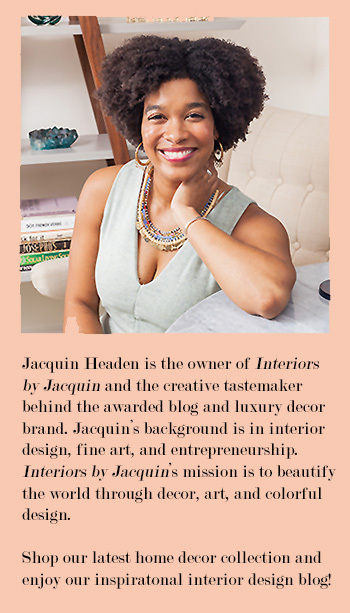 For more great artwork visit the Interiors by Jacquin Art page.